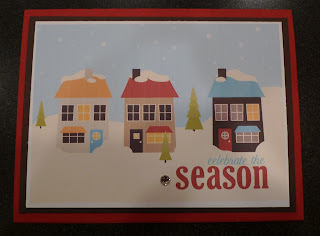 Karina's Kreations: Tis The Season Card! 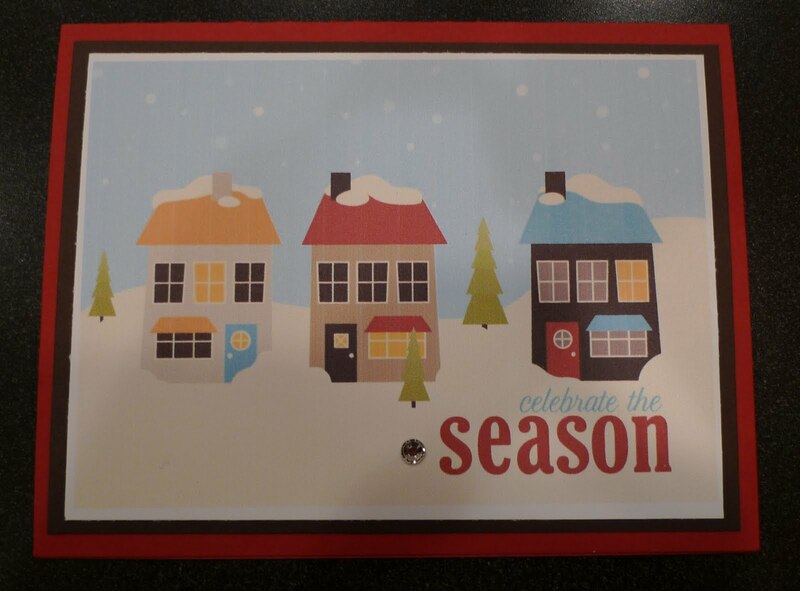 I made this card in about 2 minutes using the Home for the Holidays Ensemble. Go into Cards & Tags, Postcards, 5"x3-1/2" Landscape, Designer Template. Choose Home for the holidays. Print the first page on Whisper White card stock on your home printer. Cut out and layer on Early Espresso and Riding Hood Red card stock. Add a Rhinestone Jewel.